The ecclesias in the southern state of Karnataka had in them young people who were in their journey of knowing the only true God. As Jehovah always provides our needs and all that it takes to get closer to him, we had his grace take the form of 2 loving souls Linus and Susan who initiated the thought of having a youth gathering once every two months for young people between the age of 15 and 30 belonging to the Karnataka ecclesias initially. The first KCY was held in February 2002 at the Mandya ecclesial Hall with Brother Pramod as the speaker who spoke on Ezra and Peter. A small group from Bangalore and Mandya were the audience. KCY soon witnessed young people from KGF, Raichur, Maddur besides Mandya and Bangalore who became strong and consistent participants of this gathering. Bro Linus and Sister Susan were the main organisers for the KCY looking after the correspondence of invitation, arranging speakers, accommodation, transport etc. The invitation for this youth gathering was further extended to the young people in the ecclesias of Tamil Nadu thus making it a duo state gathering for the youth and increasing the number. At present we have young ones from Vellore, Madurai, Chennai, Bhadravathi and Hyderabad also making their presence felt. Young people who travel to India from different parts of the world also became active participants contributing towards the success of the gathering. Young ones have found it as a useful platform to learn, share, encourage and be encouraged in and by the word of God. KCYs are generally scheduled on the 2nd week of every alternative month. 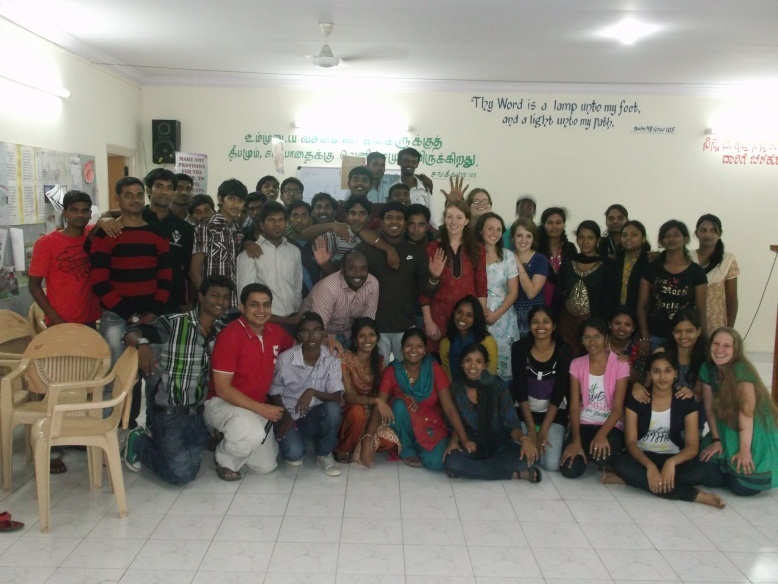 At present we have the Bangalore youth who have been running the KCY with the help and guidance of Bro Linus. It has been more than 10 years since we’ve been having such a gathering on a regular basis, the support and encouragement from the brethren in Bangalore ecclesia to run this KCY smoothly and effectively has been commendable. Leading brethren from different ecclesias have also been appreciative and prompt in ensuring their young ones also be part of this gathering. Young people have always been active participants and contributors in various activities of the gathering. Talented young ones portray their reverence and gratitude to the Almighty God in the form of leading the music, participating in prayer groups, workshops and quizzes. The hosts in Bangalore have been responsible in rendering their service in one from or the other. They clean the hall, the kitchen. make coffee, serve food, do the dishes, arrange for accommodation, pick and drop out station young people, stay overnight to provide companionship for the young ones from outstation etc. If the studies given by the speaker serve as a nourishing factor for the spiritual appetite, the participation and contribution of the young people enriches the heart and mind to feel the love of the Almighty God and his son. KCY has indeed been a platform to feel the warmth of fellowship, depth of our God’s love, width of the scriptural treasure, sweetness of friendship in the Lord and a great place in preparing for the coming Kingdom.